You're a business growth consultant who charges £120/hour, offering some freemium content on a Google Hangout or Periscope to a targeted group. At timely moments during the valuable free group session, explain that for one on one sessions, viewers can take advantage of a 30 minute "special" where you're offering to help them move forward, at a 50% discount: http://paypal.me/yourname/30. Or perhaps instead, if they want to take the next step, you could send them to http://paypal.me/yourname/1 for a £1/$1 trial for a 15 minute session. 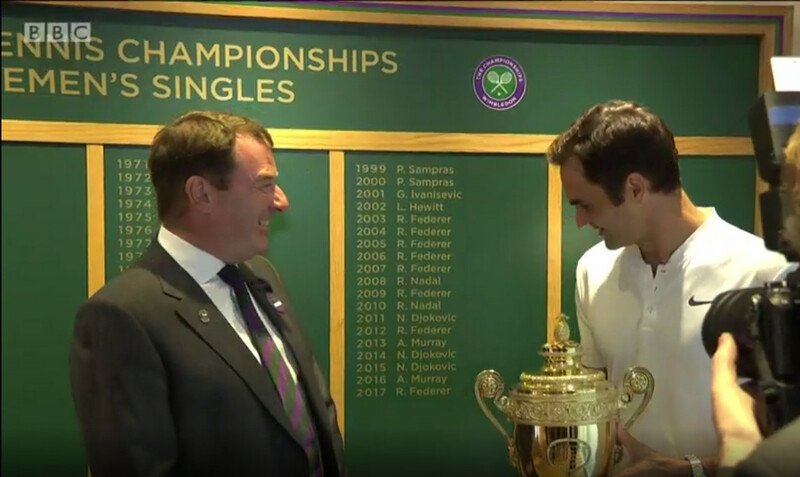 If you follow Wimbledon, you’ll already know that Roger Federer has again won the Wimbledon Men’s finals for the 8th time, making him both the oldest Wimbledon Men’s winner for a long time – and the man who’s won the most times. So how did he manage this? As always, the key is the mental game – when you reach a high level of skill, the only thing that separates winning from losing is what goes on between your ears. In fact, this is true whatever level you play at, whether it’s tennis, business, relationships, even life itself. Yesterday morning I heard the amazing story of a young woman who was recently diagnosed with a rare form of cancer, for which she’s been receiving radiotherapy. What’s incredible about her story, is that a few years ago, her teenage son was killed in a tragic hit & run accident, and she battled through despair, depression & anger, to reach a place of real forgiveness and renewed strength. And in front of over 500 people, she was sharing how she has won her latest mental battle against cancer – rising above the challenges she faces to once again be a person of courage, strength and hope for others. So, back to Federer himself – he can point to his trainers, personal encouragement from his wife and others, to help him push against the odds, to win once again, when it would’ve been easier to doubt he had it in him to do this once more.